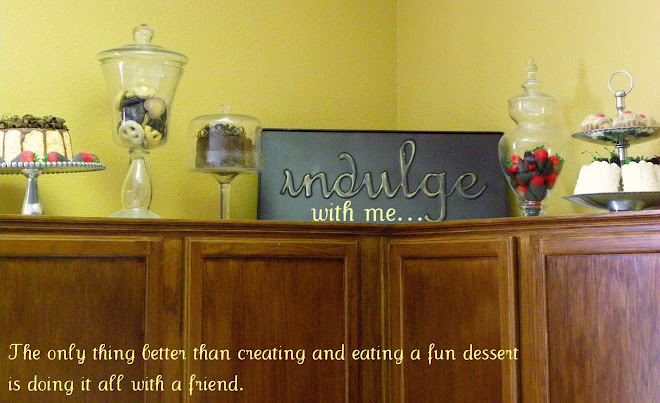 Indulge With Me: I love cookie exchanges! 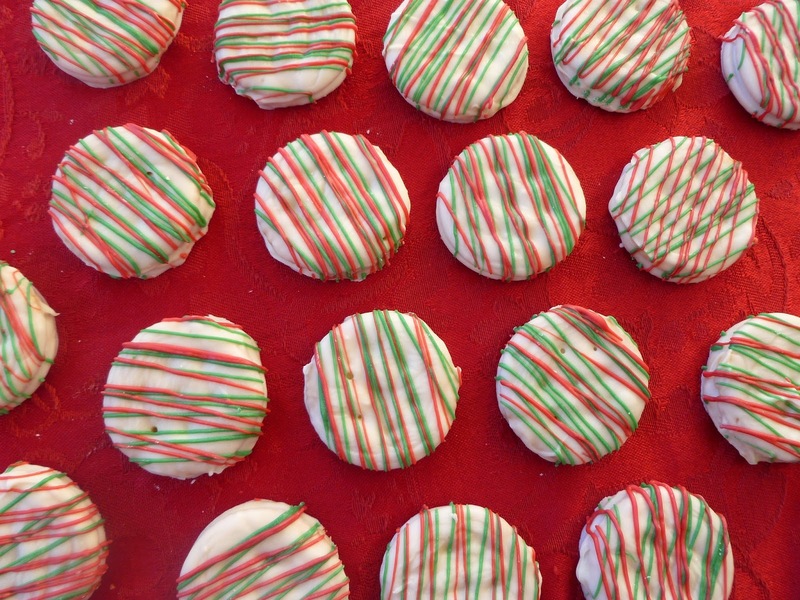 I made these Ritz peanut butter cookies for a Christmas cookie exchange. They are super simple but took some time: Take 2 Ritz crackers, spread peanut butter on one side and marshmallow cream on the other. Make a sandwich then dip. I learned a trick from a friend I wish I would have know before this. 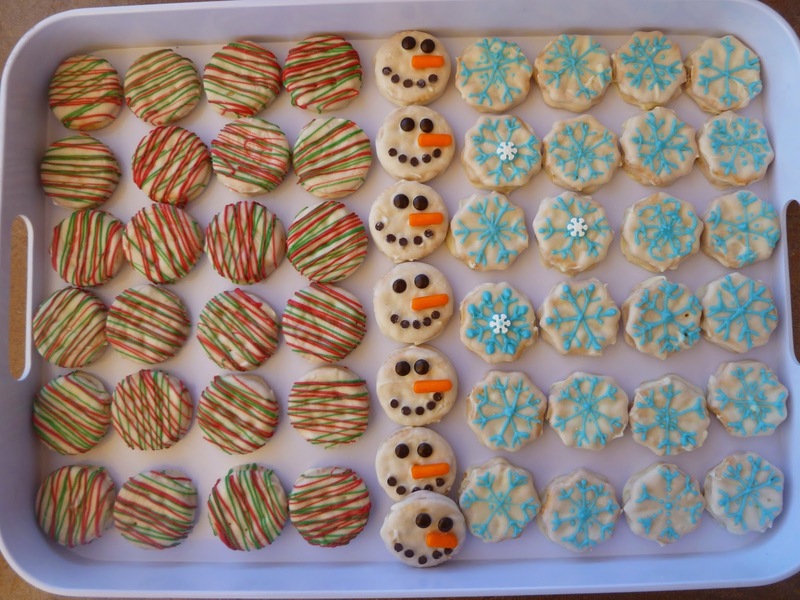 Freeze the cookie for a few minutes then dip one half of the cookie, freeze again then dip the other half. I know they are random designs but I don't like to do the same thing over and over. Red and green chocolate drizzle. 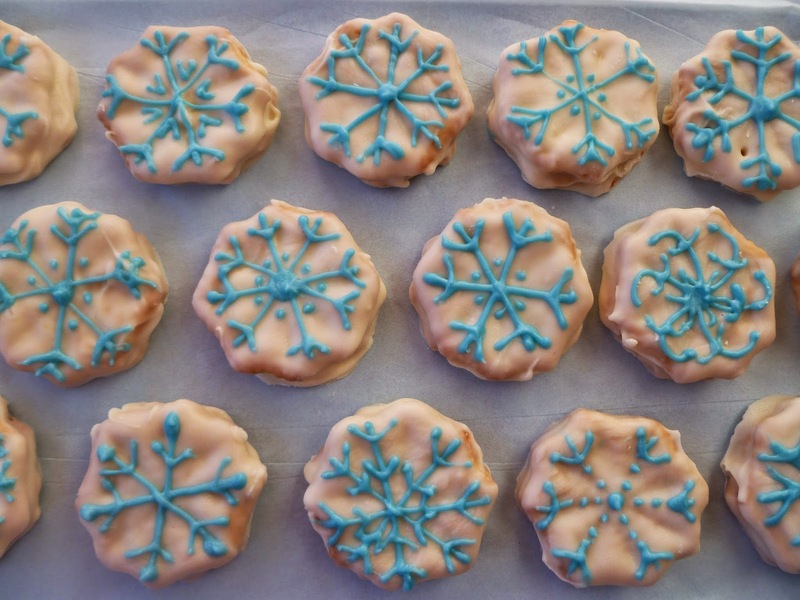 Snowflakes:I bought the snowflake shaped Ritz which seemed like a great idea but it was impossible to get the 2 crackers to line up. Oh well! 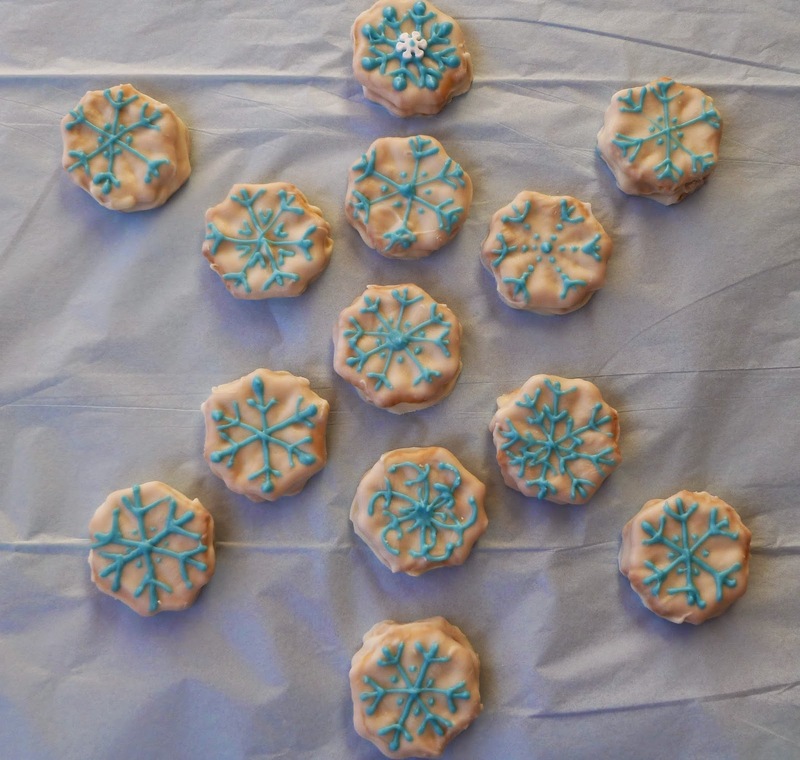 Once the white chocolate dried I used blue chocolate to make the snowflake designs. 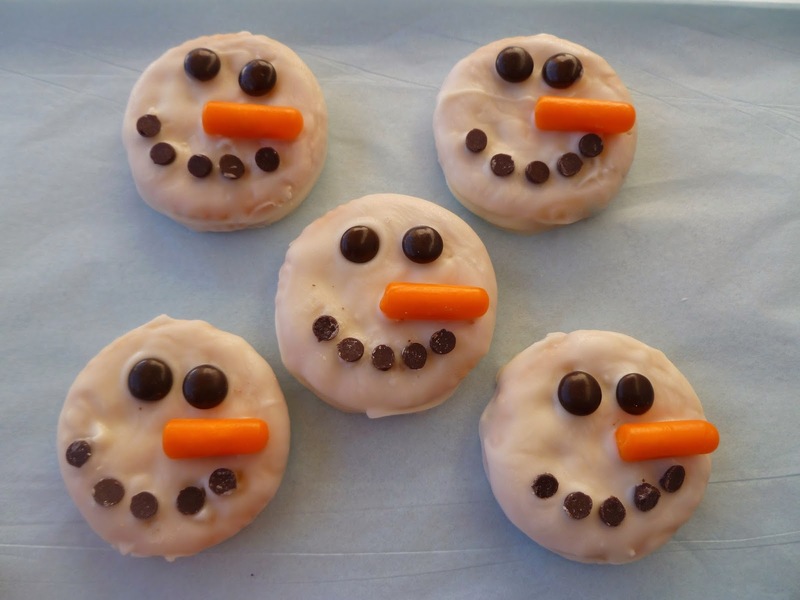 Snowmen: mini M&M's for eyes, mini chocolate chips for mouth and I used some carrot and pea candies I found at the dollar store for the nose.